Now in its third generation of family ownership, Aherne’s is outstanding for the warmth of the FitzGibbon family’s hospitality and their enormous enthusiasm for the business which, since 1993, has included spacious and very comfortable accommodation. Rooms 13 (1 wheelchair friendly). B&B from €65pps, single occupancy from €75; children welcome (high chair, children’s menu, baby changing facilities), pets permitted. Free wifi. Restaurant: Seats 65 (+ private room), toilets wheelchair accessible.D 6pm-9pm daily 2/3 course €30/35 incl filter coffee (D menu all day Sun in the bar, also L 2/3 course €30/35 ), also à la carte; 8 course tasting menu €65 from 7pm (from €120 incl overnight); wine from €22.50. Bar food daily, 12noon-9.30pm. 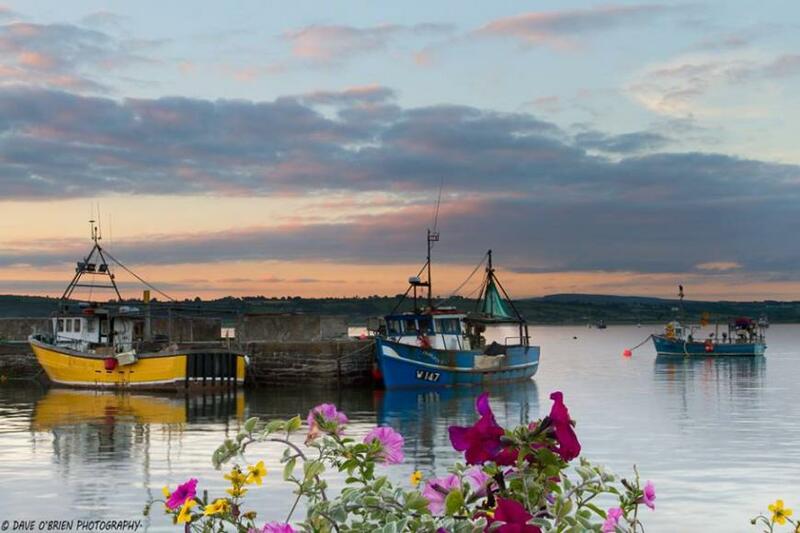 Closed 23-26 Dec.
Now in its third generation of family ownership, Aherne’s of Youghal is outstanding for the warmth of the FitzGibbon family’s hospitality and their enormous enthusiasm for the business which, since 1993, has included some fine accommodation. 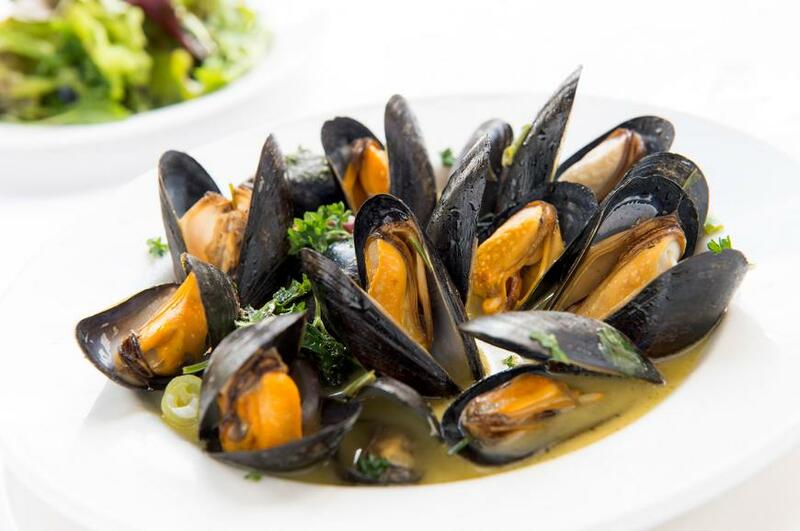 But it is for its food - and, especially, the ultra-fresh seafood that Aherne’s is best known. While John FitzGibbon supervises the front of house his brother David, who is a Euro-Toques chef, reigns over a busy kitchen. There are two bars – the front bar is quite large and traditional, with lots of wood and a timeless atmosphere while, beside the restaurant, a chic little bar doubles as a cocktail bar where aperitifs are served. Wherever you choose to eat, the bar food tends towards simplicity, and is all the better for that; seafood chowder, locally smoked Yawl Bay salmon and oysters make for great snacks or starters (all served with the renowned moist dark brown yeast bread), and you’ll find at least half a dozen delicious hot seafood main course dishes like deep-fried place and grilled hake and gorgeous prawns in garlic butter - its sheer freshness tells the story. The restaurant is a lovely room, furnished in an upbeat classical style that makes a fine setting for some outstanding cooking. 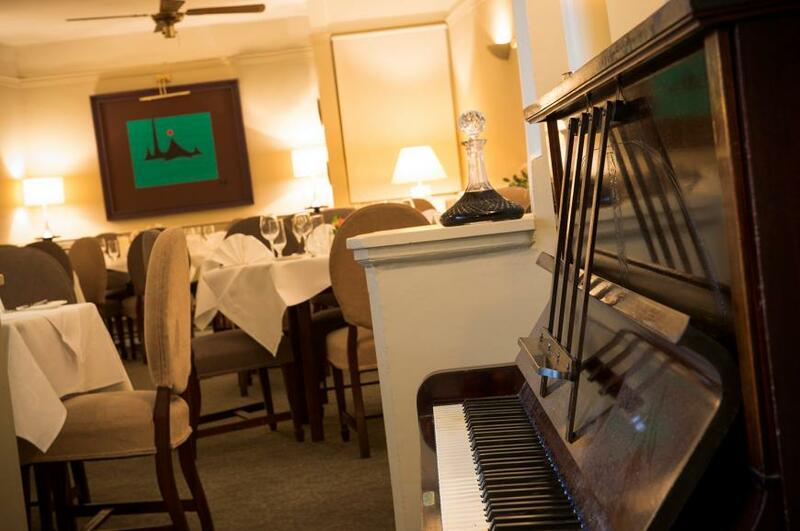 Meals served here are naturally more ambitious, with a dinner menu and à la carte options both available, and live piano playing on most Saturday nights creates a great atmosphere. David has recently created an eight course tasting menu that is ideal for special occasions - a real treat. 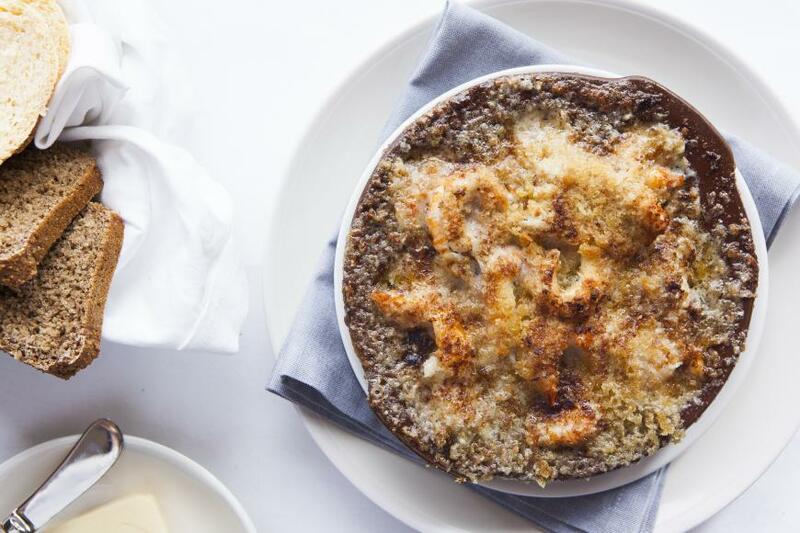 The menu includes imaginative and traditional dishes prepared with the finest of local ingredients each dish comes with different carefully selected wines. Portions are generous, so don't forget to allow room for something from the delicious range of traditional home-made 'Desserts by Ann' (bread & butter pudding, coffee meringue gateau with Jameson whiskey filling, rhubarb crumble, hot chocolate pudding with cream....etc etc), or the mainly local Irish farmhouse cheese selection. A wine list strong on classic French regions offers a good selection of half bottles and half a dozen champagnes. 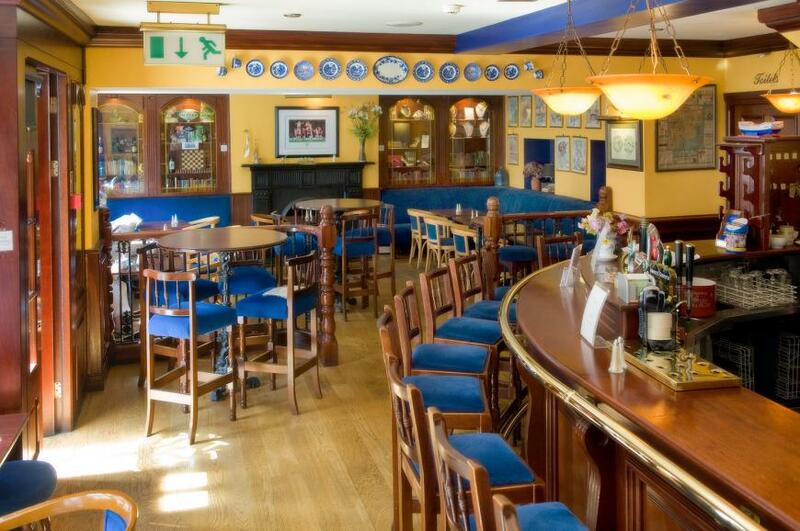 It is well worth planning a journey around a bar meal at Aherne’s - or, if time permits, have a relaxed evening meal followed by a restful night in their spacious and very comfortable accommodation. 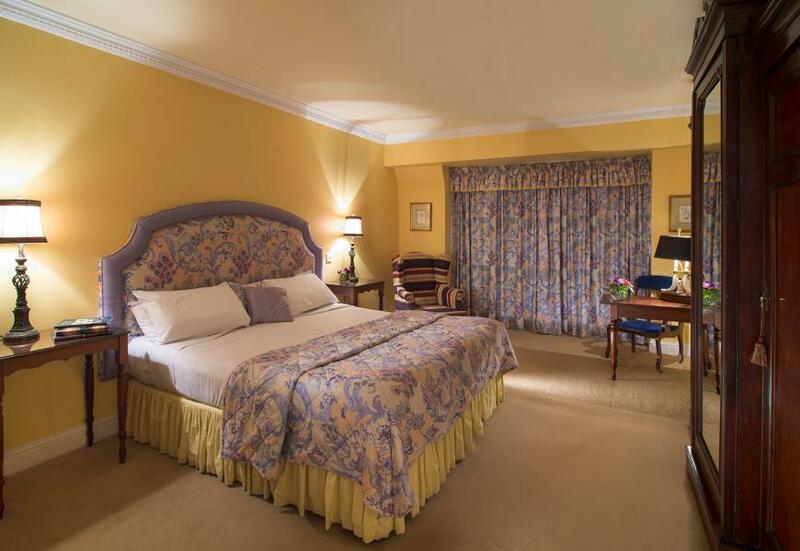 The rooms at Aherne’s are generously sized and individually decorated to a high standard; all are furnished with antiques and have full bathrooms. Excellent breakfasts are served in a warm and elegantly furnished residents’ dining room. Studio apartments are also available, equipped to give the option of self-catering if required. on N25, main route from Cork-Waterford.